Many people have trusted Rosenthal, Levy, Simon & Ryles with their workers’ compensation claims in the Palm Beach area. The firm has an impressive lineup of lawyers who have claimed victory for their clients in these cases. One of the members of this team is Alan M. Aronson, an employment lawyer and workers’ compensation attorney. He has spent most of his career protecting the rights of workers. In fact, he is more than a lawyer; he is a passionate individual who will aggressively pursue what is rightfully due to his client. His line of experience is found in workers’ compensation litigation, retirement and pension, employment law and labor claims including overtime wage and hour. Alan completed his Juris Doctor Program at the Jacob Fuchsberg School of Law, Tuoro College in 1986. 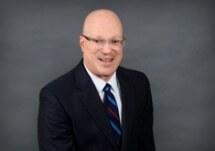 Although admitted to practice law in both Florida and New York, Alan has spent the past twenty years practicing in Florida. He uses his extensive knowledge of the law to represent people facing significant labor and employment as well as workplace injury issues. In doing so, Alan has become one of the foremost workers’ compensation attorneys in the county. His work as the General Counsel of the Palm Beach County Police Benevolent Association (PBA) for over seven years served as a strong foundation for his practice. During this time, he represented over two thousand police officers, correctional officers, and other law enforcement professionals in grievances, disciplinary proceedings, arbitration, and unfair labor practice hearings. He has also represented officers in use of force and in custody death cases. Alan has been involved in hundreds of investigations representing PBA members in use of force proceedings involving shootings, vehicular accidents, and “in custody” deaths. His practice has also been enriched through his work as an Appeals Referee with the Florida Department of Labor and as personnel attorney for the Palm Beach County District. Working for the cause of the laborer—that is Alan’s battle cry. He has dedicated a significant portion of his years of practice protecting the rights of workers, educators, law enforcement officers, and public safety personnel. “These people give their all for the citizens and municipalities they protect. I’m proud to use my skills as a lawyer to aggressively fight for their rights,” he says. He is a lawyer committed to maximizing the compensation his clients will need to live a good quality life. Frequent guest-speaker to labor unions, continuing education seminars and various other groups and associations.